When Forensic Report view opens, it will automatically parse local Windows Log records to collect information about user sessions. 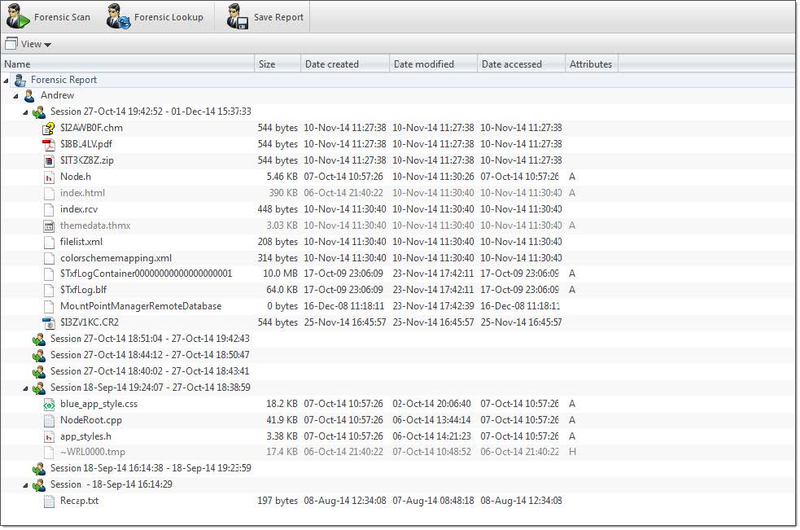 Each following Forensic Scan will group files under corresponding user session time frame. 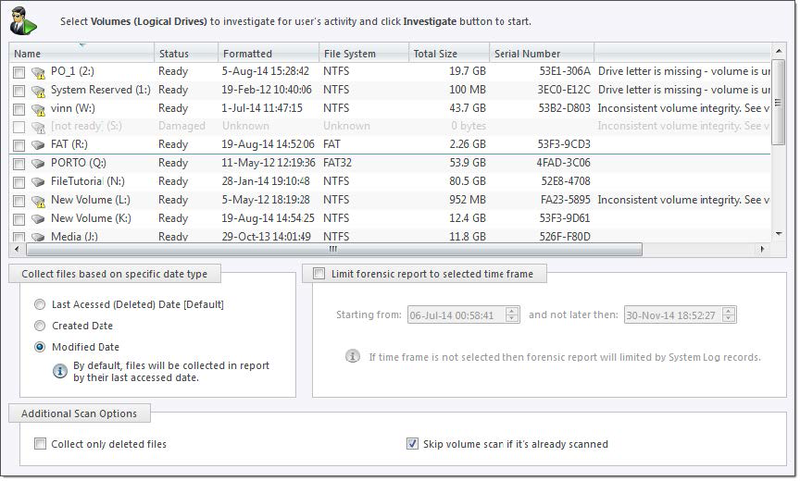 Scan logical drives (volumes) to complete Forensic Report. Use this command to investigate local volumes. See Investigate volumes for details. Use this command to re-populate local Windows Event Log. After log parsing completes, all previous volume scans will be analyzed again and the results will be shown in Forensic Report view. Use Save Report command to save your findings to a text file. From the context menu, detected files can be inspected, opened in Disk Editor, previewed, and more. Click the Forensic Scan button from the view's toolbar. 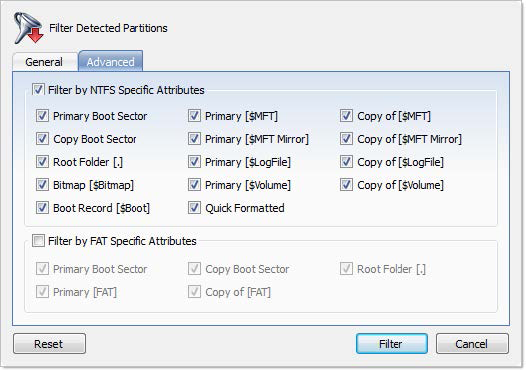 Additional drives can be selected to be scanned on the Logical Drives list. These will be scanned simultaneously. Use this option to ignore already scanned volumes. Use this option to collect only deleted files in final report. Click Investigate to initiate scans of selected logical drives (volumes) and analyze scan result based on users’ activity. Final reports can be stored in a plain text file that contains lists of detected files grouped by user sessions, detailed information about scanned drives, and other user activities from Windows Event Log.